I named this "Reclaiming the Muse". 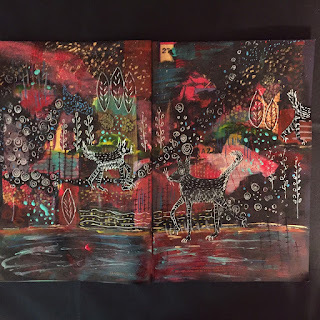 I'm not sure if she's back to stay or not--only time will tell..but while she's here I decided to "make hay while the sun shines" so to speak and I finally watched the videos from a classs I signed up for in March called "Creatures" taught by Roxanne Coble. A very fun class using lots of tiny patterns and details which was right up my alley. 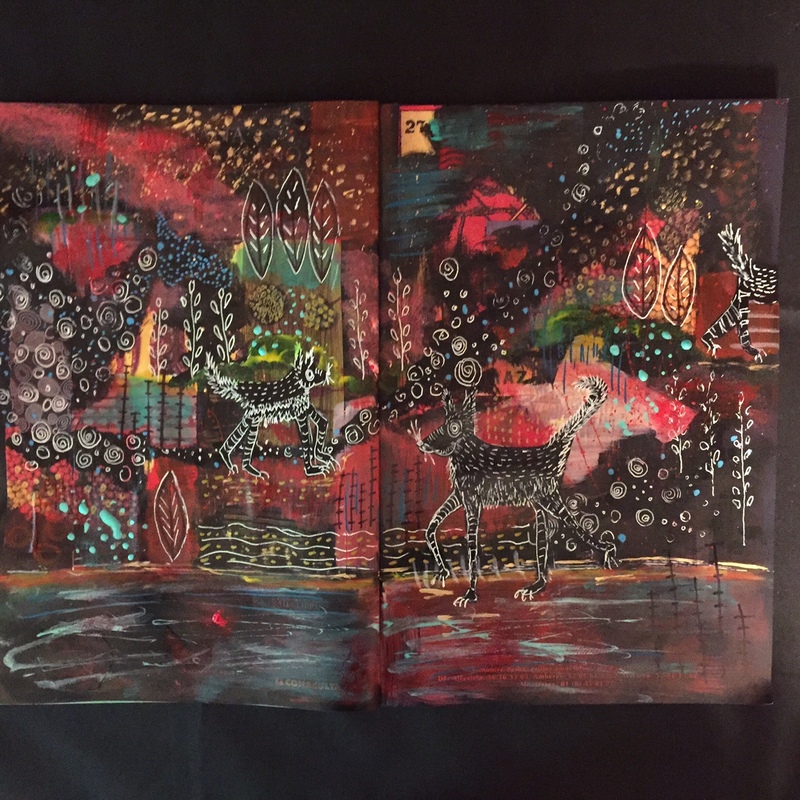 This is the journal spread I made. Your work is truly amazing. Both pieces are just magical. I'm going to check if Roxanne Coble is still offering the class you mentioned. Sounds intriguing. Happy Birthday and Anniversary! 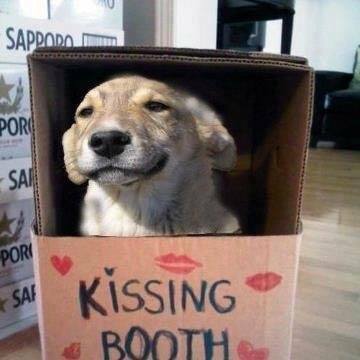 LOVED the kissing booth photo. happy to see you back on your blog and showing your works. Just great. Congrats on your Anniversary you both look wonderfully happy!Also love the Kissing Booth! LOL! So very happy you are attempting a comeback! I Love your art and posts!! Happy belated everything for may and you two look just as much in love today as you did then! The kissing booth is adorable! doesn't it make you want a new furbaby??? Hi Janet, thanks for your comment on 1 year of stitches, Im trying to get back to blogging on a weekly basis! My stitching is going to be all free hand. I remember yourvfamily farm one that was so fun.